Melbourne show sells out as 2nd Launceston show added to the “Stories & Songs” tour! All remaining shows selling fast! Jimmy Barnes has just announced a 2nd Launceston show has been added to his upcoming Working Class Boy: An Evening of Stories & Songs tour on Thursday, 2 February at the Country Club Showroom and tickets are on sale now. The previously announced Launceston show on Saturday, 4 February has sold out as has the Regent Theatre show in Melbourne. The “Stories & Songs” shows will bring Jimmy’s #1 bestselling memoir, Working Class Boy, to life through a combination of spoken word performance and some music that relates to his life story. 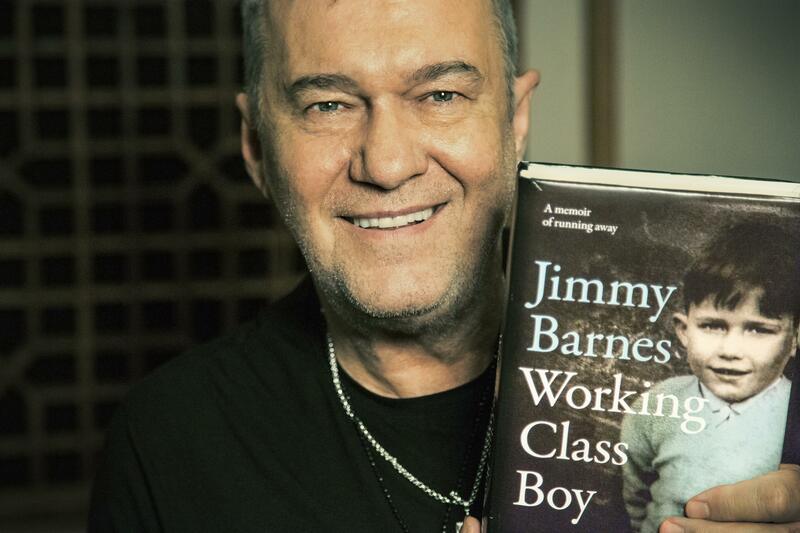 After a record breaking fifteen #1 albums, Jimmy Barnes can now also say he’s a chart topping author. His acclaimed childhood memoir “Working Class Boy” was officially Australia’s top selling book for three weeks according to Bookscan and has been #1 on thenon fiction chart for 6 weeks.